Following on from the mega selling The Joshua Tree was seen as a tough act to follow - U2 were nearly up to the challenge with Rattle and Hum, an album with some killer songs like All I Want Is You and God Part II but as a whole it didn't quite have the same magic as The Joshua Tree. That said the album produced plenty of hits of U2 and songs from Rattle and Hum still feature in most U2 concert set lists. The album was intended to be a tribute to some musical legends and took a bluesy turn with Desire featuring a Bo Diddley inspired riff being played on Desire, blues maestro BB King featuring his own guitar work on Love Comes To Town and lyrics evoking memories of jazz legends Billie Holiday and Miles Davis and even John Lennon. 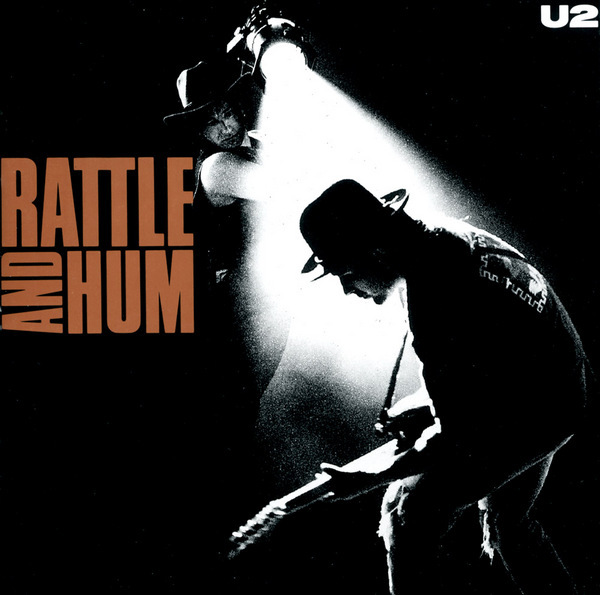 The album title, Rattle and Hum, is taken from a lyric from U2's own "Bullet the Blue Sky"